Well-known as the ‘number one’ natural antioxidant, Goji berries help combat the development and presence of free radicals, derived from the accumulation of toxins. Apart from helping the liver eliminate these free radicals, they produce a clear feeling of fullness, helping to sustain us through the periods between meals. The low glycaemic index and the presence of chrome and zinc (essential elements in speeding up the metabolism) undoubtedly make Goji berries a tried and tested detox food. Bright red in colour, and found growing wild in China, these fruits are so precious and rich in nutrients that they have been nicknamed red diamonds. According to traditional Chinese medicine, they are a veritable elixir for a long life since they help us maintain a good level of health for many years. Eastern tradition has it that those who drink water drawn from a well into which Goji berries have fallen receive the gift of eternal youth and strong vitality. 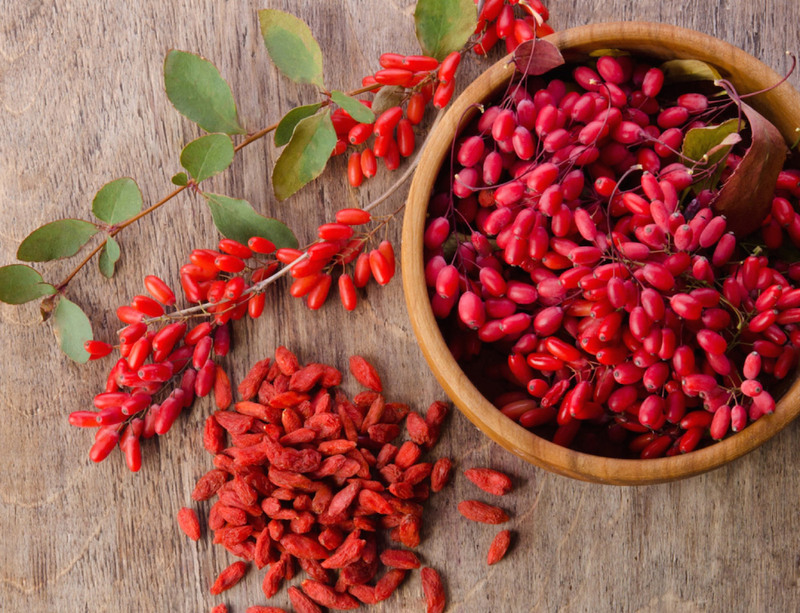 Goji berries may be purchased from herbalists, pharmacies and parapharmacies as capsules of dry extract, as dried fruit with a taste similar to blueberry, or as concentrated juice to be diluted with water. Goji powder, which is obtained by grinding the berries themselves, is also commercially available. The berries may be consumed like classic wild berries or added to muesli or yogurt, making for a fine, slimming and healthy breakfast. They are also well-suited as ingredients of classic salads or fruit salads. Last, but not least, these red diamonds may also be used to make a wonderful detox water to be consumed during the day in order to improve our physical condition and detox our bodies. Wash the fruit and vegetables and cut them into small pieces, then place them in a glass recipient and add the water. Cover the recipient and leave to rest in the fridge overnight. It is essential to use organically grown, fresh fruit and vegetables and not to remove the skin. So what do you think? After all the excesses of the festive period, isn’t it time to give this a try?